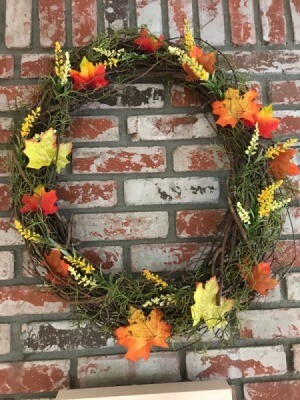 Turn your existing decorations into seasonal decor. 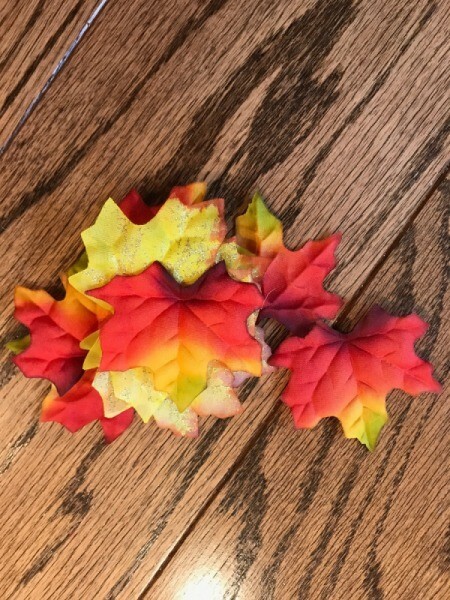 I purchased a bag of these fake leaves from Dollar Tree for just $1! 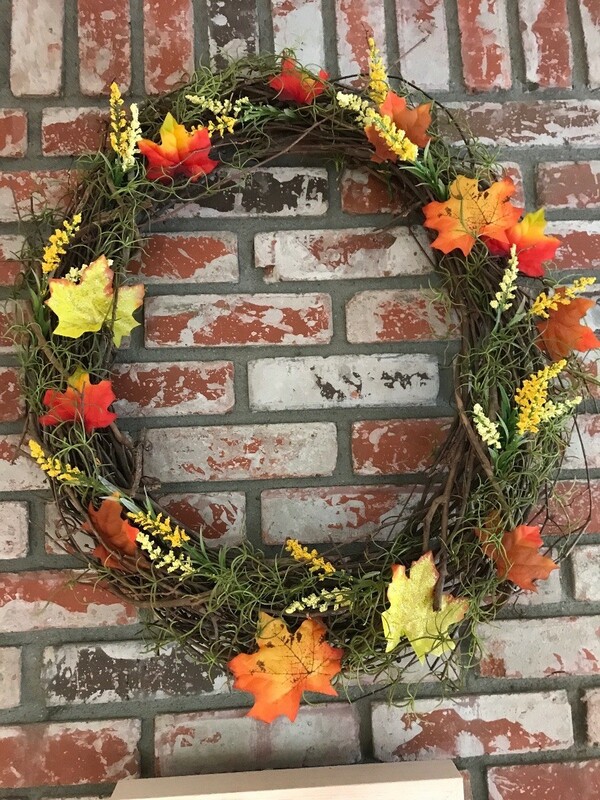 I added the leaves around the wreath and instantly vibes of autumn/fall.